Doctor examining the precordium area. Relief tends to occur when the individual breathes deeply for several minutes. PCS normally improves fairly quickly with little or no treatment. This condition was first introduced in 1955 by Miller and Texidor (Gumbiner, 2003). Miller and ten other patients were reportedly the first individuals to experience the syndrome. By the late 1970s, approximately forty-five patients had developed the condition. PCS is more common in children, adolescents and teens than adults. Individuals with PCS may experience symptoms once or twice a week. In addition, they may notice that the precordial pain worsens when lying down and/or resting. Moreover, research suggests that individuals who have a sedentary lifestyle have a higher risk of developing this syndrome. According to Dr. Carl H. Gumbiner (2003), the exact cause of precordial catch syndrome is unknown at this time, but lung and/or nerve problems may play a role in its development and progression. Although many physicians believe that PCS pain originates in a part of the lungs called the parietal pleura, others believe that the pain actually occur as a result of intercostal muscle spasms (Gumbiner, 2003). The intercostal muscles are located between the ribs. 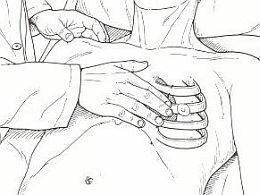 If the syndrome is caused by muscle spasms, then the chest pain subsides once the muscles have relaxed. 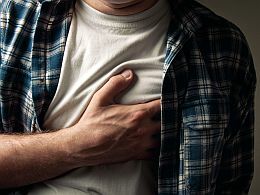 PCS is different than a heart attack because the pain does not actually involve the heart, although it may feel like it does. In addition, PCS may occur as a result of a pinched nerve. Moreover, some physicians believe that poor posture along with an active lifestyle can trigger PCS. As mentioned previously, research suggests that this condition is more prevalent in those who are inactive. It is important to properly diagnose precordial catch syndrome so as not to instill anxiety and insecurity in patients and/or their loved ones. The patient needs to be reassured that PCS is a real syndrome that can successful be treated. In fact, PCS is virtually harmless, unless associated with other medical conditions and/or syndromes. Patients and family members can gain a wealth of information on PCS from educational pamphlets and health screenings. Precordial catch syndrome occurs more frequently in those who are stationary and/or adhere to a sedentary lifestyle, so the best prevention is to increase activity by exercising, participating in sports and/or engaging in a healthier lifestyle. It is important to remember that PCS is a temporary condition, in which symptoms quickly appear and disappear. Panicking only prolongs the condition, so it is important to keep stress at a low level.